Since 1989 we've supplied enterprise-grade storage solutions to businesses of all sizes - from SMB's to the world's largest organisations such as NASA and CERN. Whether your business is looking for an affordable software-defined storage server or a high-availability petabyte storage solution, as one of the worlds top storage providers we can design the perfect storage solution for your requirement. Using the latest storage technologies, our storage solutions are built using the same high quality components as DELL and HPE at a significantly lower cost, making them PC PRO's "Best Storage Appliance" year-after-year since 2012. The very latest High Performance Storage technology, including NVMe, 12GB SAS and Hybrid Drives for the ultimate I/O performance storage. 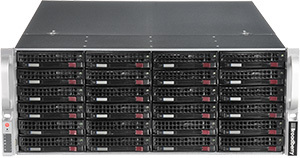 Our Direct Attached JBOD Storage appliances allow you to expand your current storage pool with enterprise-grade storage via ultra-fast SAS connectivity. 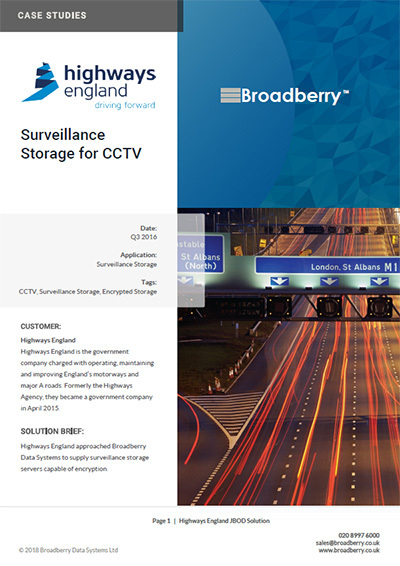 The CyberStore-VS range is specifically designed and optimised for Enterprise Video Surveillance, running 24/7 365, Precision-tuned for high write surveillance workloads. Designed and built for Instant Access Cold & Archive Storage. 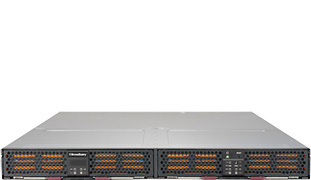 Supersized capacity, energy efficiency and lowest TCO enterprise storage available. Broadberry's range of enterprise-grade VMware® Virtual SAN Ready Systems come pre-configured and ready to be deployed within minutes. 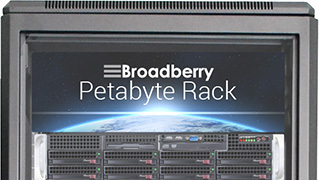 Introducing the Petabyte Rack, 1 Petabyte of RAW High Availability Storage in less than 20U of Rackmount space. Built for the ultimate in enterprise-grade backup and archiving, our range of Nexenta-powered backup and archiving appliances come with all the features you'd expect from a ZFS-based backup server. PC Pro's best storage appliance again in 2017, the CyberStore WSS comes preconfigured with Microsoft Windows Storage Server 2016. Our WSS range of iSCSI SAN/NAS storage appliances and comes with great storage features such as Deduplication, Thin-Provisioning and Compression. 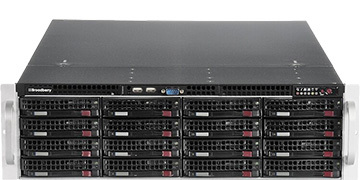 Voted PC Pro's best storage appliance, the CyberStore DSS comes preconfigured with Open-E DSS v7 linux-based operating system. Our DSS range of iSCSI SAN/NAS storage appliances come with great storage features such as Active-Active Failover, Volume Replication and Unlimited Snapshots. 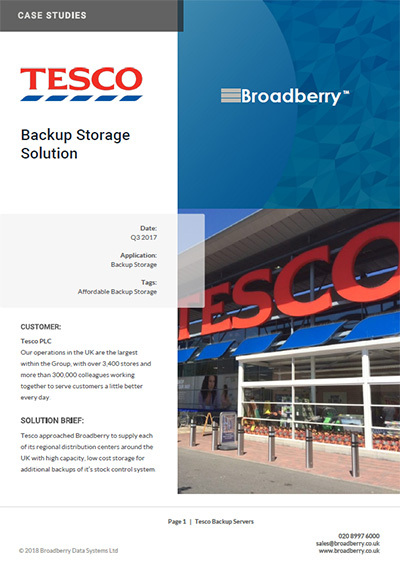 Broadberry High Availability Clusters represent our focus on enterprise-class storage with no single point of failure. Our HA failover storage solutions can be supplied as hardware only, or configured with Windows Storage Server 2016 or Open-E's enterprise-grade storage operating systems. 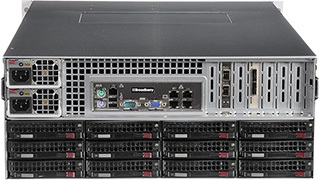 Our award winning CyberStore iSCSI SAN Storage & NAS Storage Servers offer a complete data storage server solution whether you require an iSCSI SAN, NAS, or both in a single storage server solution. 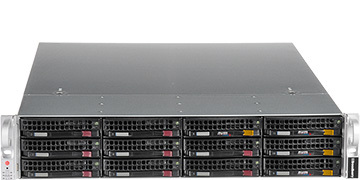 Our High Capacity storage servers are fully customisable multi-terabyte solutions suited for a wide range of operating systems and applications. 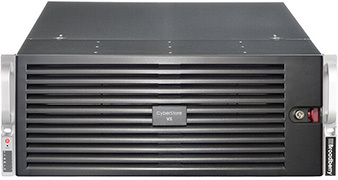 Available with up to 50 removable drive bays, allowing for up to 150 terabytes of raw storage, and expandable using our DAS JBOD solutions. 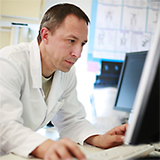 Enterprise-grade high-availability cluster solutions with no single point of failure. 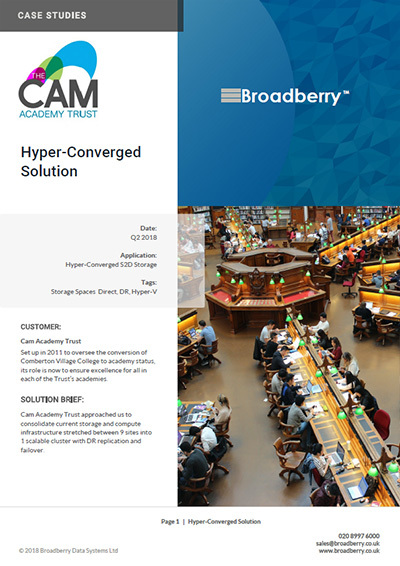 If your application demands 100% uptime with no single point of failure, look no further than Broadberry's HA solutions powered by Windows Storage Server 2012, or Open-E's award-winning storage operating systems. The CyberStore 316S WSS shows off Microsoft's Windows Storage Server 2012 perfectly. 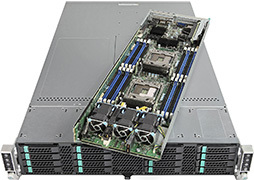 It brings together a substantial hardware package with room to expand, offers plenty of storage features, and tops it off with strong performance and exceptional data reduction ratios. 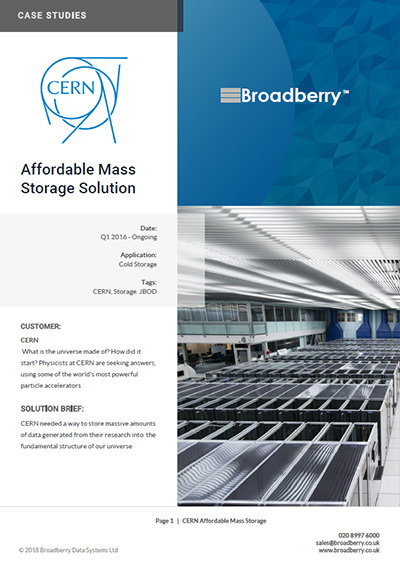 The Broadberry XLStore powered by NexentaStor is the next generation of intelligent unified data storage platforms. 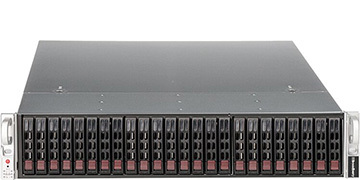 Designed to meet the requirements of today's sophisticated enterprise data centers and high performance applications with new levels of storage performance, scalability and reliability.